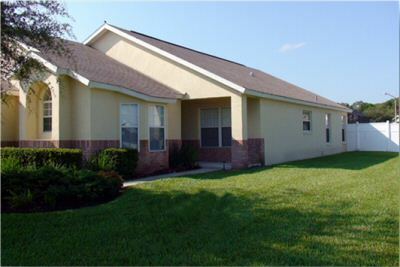 Our spacious 4 bed / 3 bath villa is under 10 minutes from Disney and is located on one of the closest communities. It features 2 master bedrooms and 2 twin rooms, cable TV, internet access and free international landline calls to 60 countries, as well as a fully equipped kitchen. The villa is professionally maintained throughout with access to a local management company should you need their help. 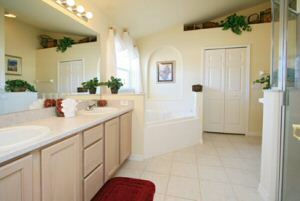 This is the perfect place to relax at the end of a long day with all the comforts of home. You can relax around the pool planning your next adventure to the many attractions. This home is fully alarmed for your piece of mind. 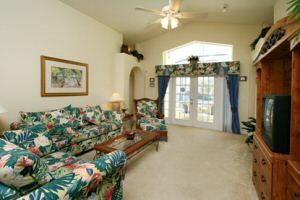 The well appointed family room opens up onto a shaded lanai via french doors to your own pool. Relax in the evening planning your next day’s activities to Disney, Universal, Seaworld or any of the other many attractions in the area. 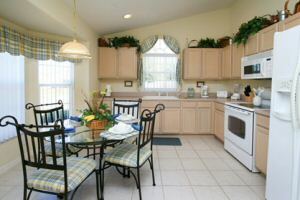 The fully equipped kitchen has everything you need to prepare a quick snack and breakfast – after all it’s time to relax. 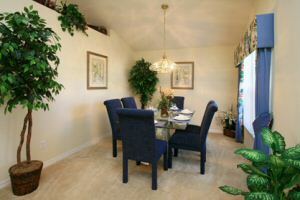 If you want there is a formal dining area for those family meals. 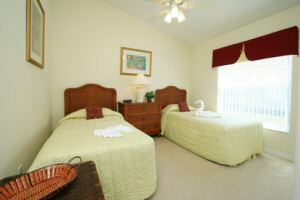 Sleeping accommodations include a spacious master bedroom with a king-sized bed and TV. 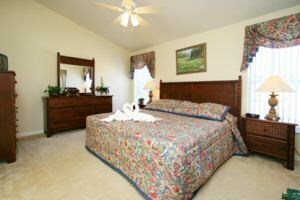 The master bedroom has its own private bathroom with a walk-in shower and deep garden tub. 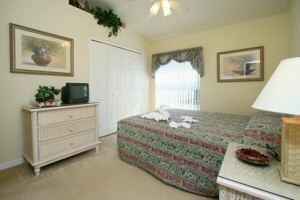 The second master bedroom has a queen-sized bed, its own TV and private bathroom. 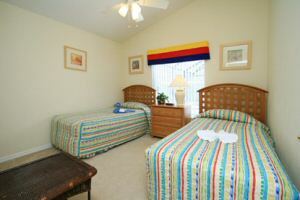 The two additional bedrooms have 2 twin beds each plus a TV, and share a third bathroom leading off of the pool area. 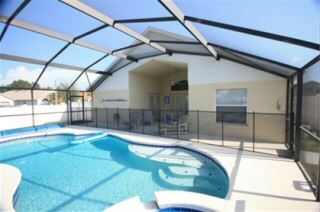 The shaded lanai leads to a fully screened outdoor area, which features a sunny, south-west facing larger than normal swimming pool and jetted spa. Pool heating is available. 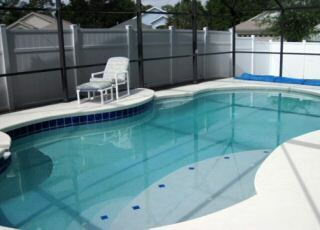 The pool area is fully fenced and completely private. 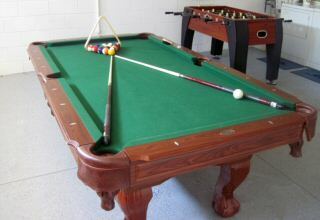 Games room with pool table and foosball.